Whether it’s your first hearing test and you’re not entirely certain what you should do in preparation or you simply want to make sure that it goes as well as possible, it’s important to be proactive. Learning more about what to expect and what you can do to help the process is something your hearing instrument specialist will appreciate a lot. Here are a few tips on what you can do to make sure your hearing test goes smoothly. It’s a good idea to let your insurance company know you are going for a hearing test. Not only can you see whether you are covered for it, but they may be able to provide certain benefits and can provide the information you should bring with you to the appointment. Beyond the current symptoms you’re experiencing, it’s a good idea to bring a medical history detailing not just ear and hearing symptoms, but any other medical issues you have had in the past. It’s wise to note down any medications you’re using, including over-the-counter, prescriptions and herbal supplements. A wide range of factors can affect your hearing, so don’t assume that any information is irrelevant. If you’re worried about nerves or that you might forget details of your current symptoms (or any other information you want to provide), it might be a wise idea to write it down now. Bringing notes with you is entirely permitted and your hearing instrument specialist will appreciate the attention to detail that it shows. 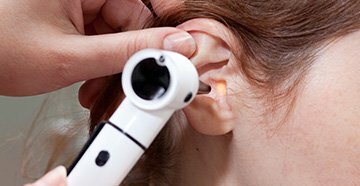 Having your ears cleaned at least three days before the hearing test can ensure that wax doesn’t get in the way of the visual inspection or the results of the test. Don’t use potentially dangerous methods such as cotton buds or candling. Have them professionally cleaned or buy an ear cleaning kit and follow the instructions on them carefully. Loud noises can cause short-term changes to your hearing which can impact how accurate the results of your test will be. If you can, avoid loud noises such as electronic tools, machinery, lawn mowers, vacuums and so on. Ensure that you don’t go to any firework shows or concerts before your hearing test, too. Protect your hearing as best you can in the lead up to your appointment. Having a cold or a virus up to two days before your hearing test can also influence the results of your test. When you’re sick, fluid builds up in your sinuses and your middle ears. This can get in the way of tests that measure the movements of your eardrums. Do what you can to avoid getting sick before the test. That’s not always under your control, of course. If you do end up getting sick up to 48 hours before your hearing test, call up to reschedule. It’s better to wait for results that you can trust. If you’re particularly nervous about your hearing test or you’re worried about remembering what information you want to give and the information you want to note down, you can bring someone with you. Your hearing instrument specialist will do what they can to ensure you feel comfortable and can provide pamphlets and written information, but you should do what makes you feel at ease. Some nervousness may be experienced simply because you don’t know what a hearing test entails. After you have provided your medical history and information on your current concerns, the hearing instrument specialist will begin with a visual examination. This involves the use of a small handheld device called an otoscope. Following that, they will perform hearing tests in a soundproof environment which involves playing sounds at different pitches and volumes to see what you can and can’t hear. It will also involve having you repeat speech at different volumes. A pressure test may also be carried out. This entails using a device that changes the air pressure in your ear to see how your eardrum responds to sound when it changes. 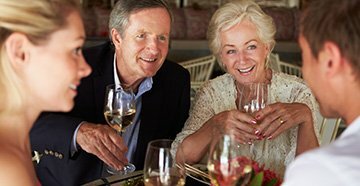 If you have any further questions about your future hearing test or you haven’t made an appointment for one yet, get in touch with Nobile Hearing Aids at (239) 772-8101. From hearing tests to fitting, repair and advice, we can help you every step of the way.